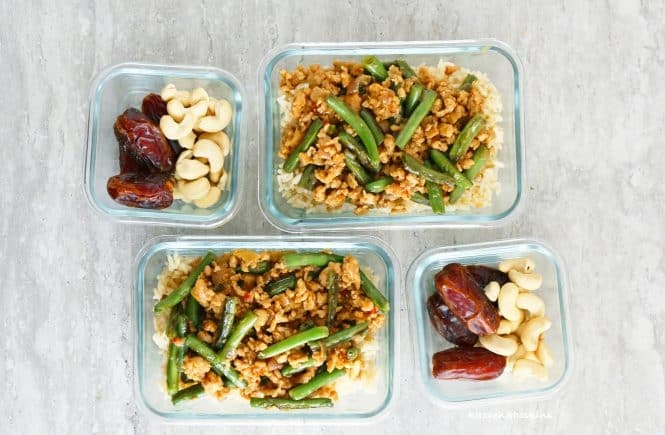 Can clean eating get any more elegant? 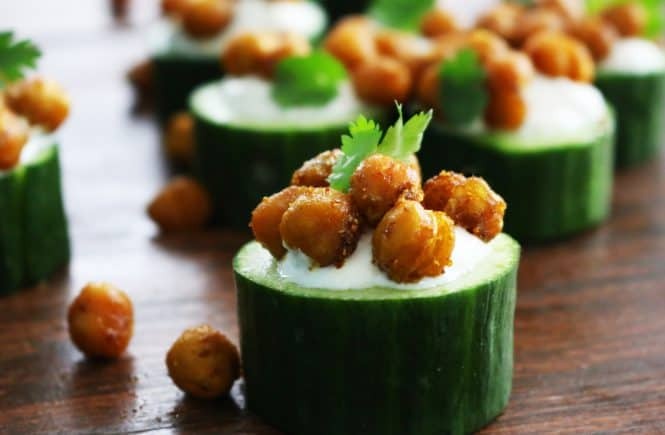 Cucumber cups stuffed with a simple and easy raita and then topped with crisp garbanzo beans roasted with Madras spices. 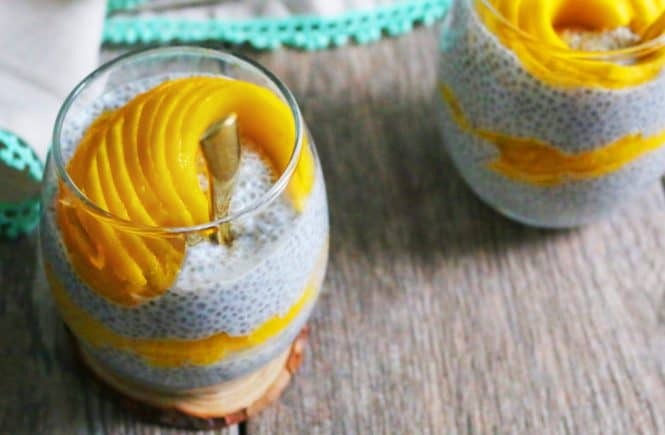 Great as appetizer, healthy snack or even a light meal. 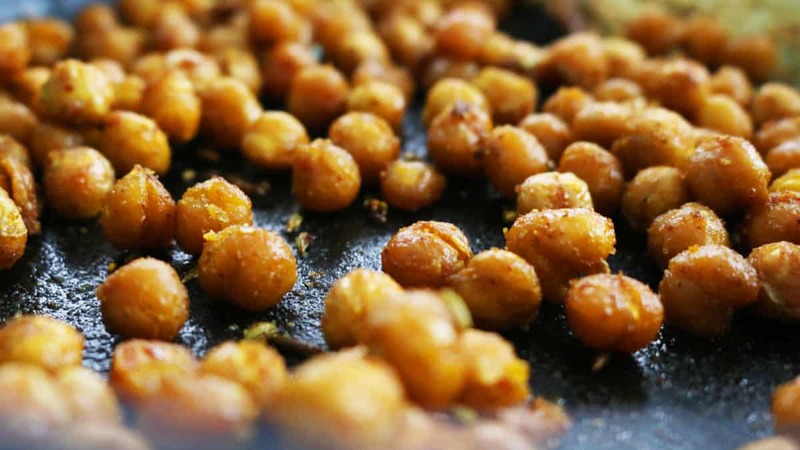 Roasted garbanzo beans are a super healthy, fiber rich snack that is almost as addictive as popcorn. 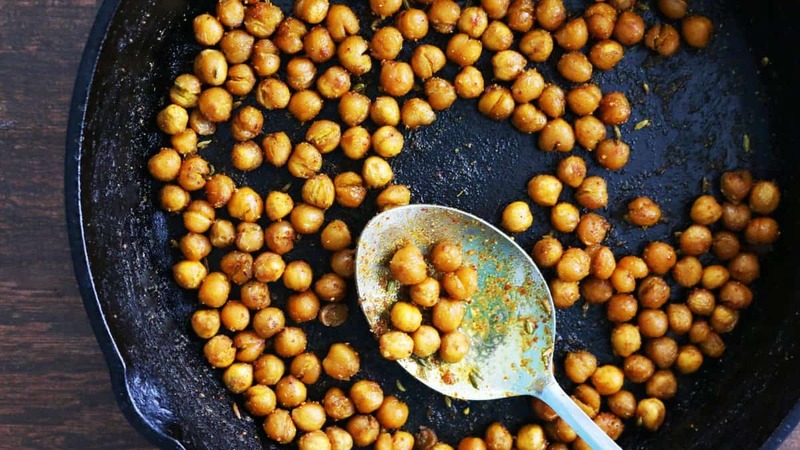 Toss canned garbanzo beans in some spices, oil and bake. My kids are not huge fans of Indian food, so I usually roast beans with some garlic powder, onion powder, pepper powder, paprika, turmeric, salt and extra virgin olive oil. It tastes amazing and they finish up two cans of beans in one sitting. Since I’ve taken an eastern route today, we are gonna use Indian spices. Raita is a yogurt based condiment that is served with spicy food to cool the palate. One of the most common form of raita is made by stirring yogurt with chopped cucumber, onion, cilantro and very few spices to enhance the taste. 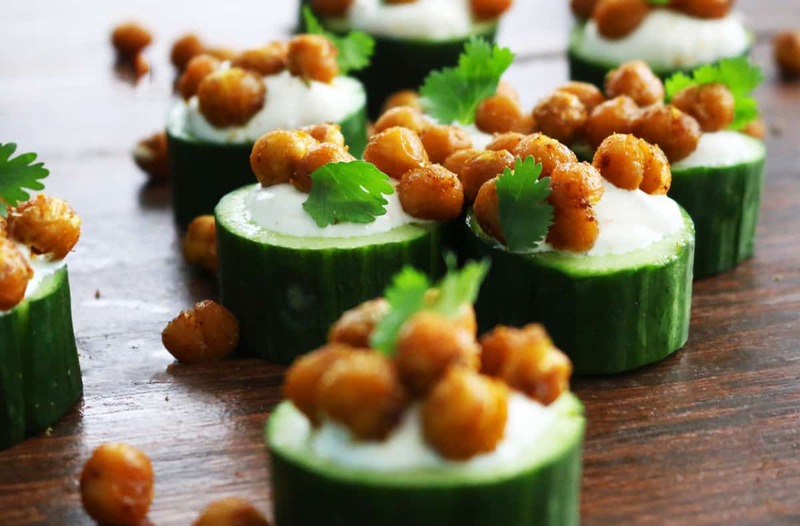 This recipe is a deconstructed form of raita and it transforms the humble condiment into a bite-size food, elegant enough to be served for parties and get-togethers. 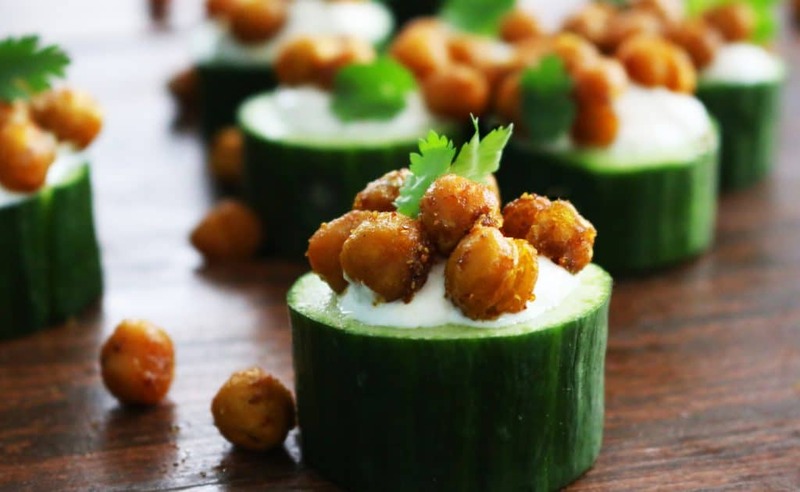 There are three components to the recipe – roast garbanzo beans, make raita and cucumber cups. 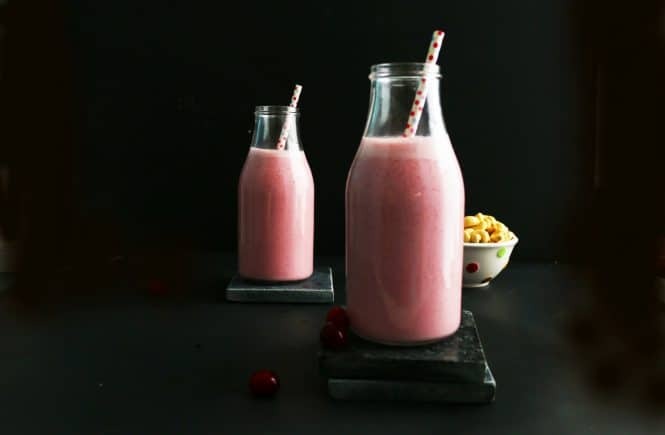 Begin with the beans, as it takes the longest…..
—-Stir all ingredients together (raita can be made up to a day ahead and stored in the refrigerator) and store in the refrigeratpr until serving time. 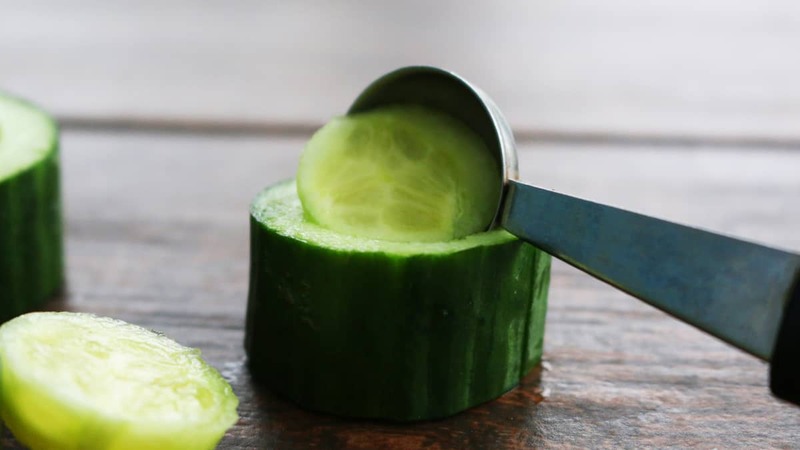 —Wash an English cucumber, dry, cut into 3/4-inch thick slices. Using a melon baller, scoop out half the inside to make into a cup. If you don’t own a melon baller, then use a small pairing knife to carve out the inside. —-Spoon some raita into the cavity and then top with garbanzo beans. 2. In a 9-inch cast iron skillet (or other oven safe skillet / pan), add all ingredients and toss well until evenly combined. 3. Place skillet in the middle rack of the oven and bake for 35 minutes, until roasted and slightly crisp. 4. Place pan on a wire rack to cool completely. 1. In a medium bowl, stir all ingredients (except cucumber) together. Set aside. 2. 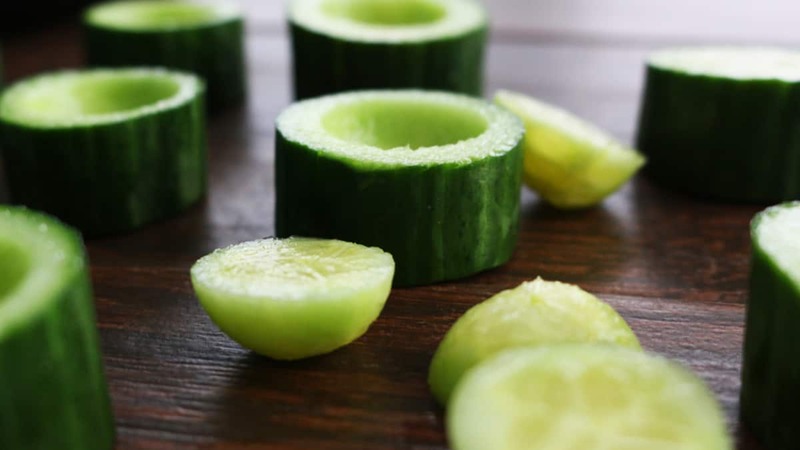 Cut the ends of cucumber and then cut into 3/4-inch thick slices. Using a melon baller, scoop out half the inside to make cups (refer pictures). 3. Just before serving, spoon about 1-2 teaspoon raita into each cup and pile roasted garbanzo beans on top. Top with cilantro and serve immeditely.